Or $5.35 per contact lens (x6 per box). 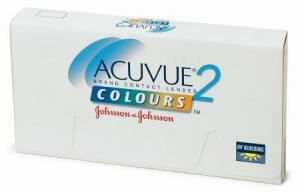 Or $2.90 per contact lens (x24 per box). Or $3.61 per contact lens (x12 per box). 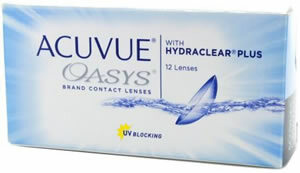 Or $4.19 per contact lens (x6 per box). Or $2.80 per contact lens (x6 per box). Or $2.60 per contact lens (x24 per box). Or $4.12 per contact lens (x6 per box). Or $2.83 per contact lens (x6 per box). 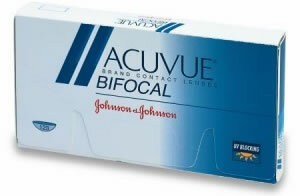 Or $4.67 per contact lens (x6 per box). Or $0.00 per contact lens (x90 per box). Or $0.65 per contact lens (x90 per box). Or $0.00 per contact lens (x30 per box). Or $0.65 per contact lens (x30 per box). Or $0.85 per contact lens (x30 per box). Or $0.82 per contact lens (x30 per box). Or $6.11 per contact lens (x6 per box). 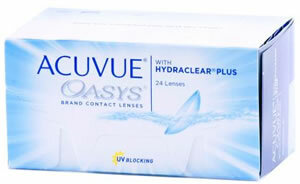 Or $2.18 per contact lens (x30 per box). Contact lenses have come a long way from the unwieldy, inflexible and often uncomfortable designs first put on the market years ago. Thanks to technological advances, today’s lenses are light years ahead and are so comfortable many wear them not just to correct vision but also for aesthetic reasons. 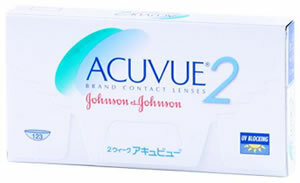 Acuvue has been a leader in this advancing technology, making contact lenses a pleasure to wear. 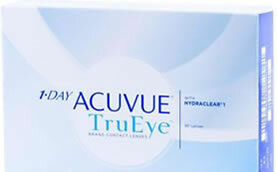 Acuvue’s technological advances in contact lenses have made the company’s name synonymous with quality. It is known as the first maker to produce a 7-day extended wear disposable contact lens. 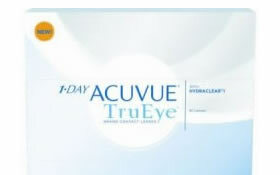 This is just one of the many breakthroughs Acuvue now has to its credit. 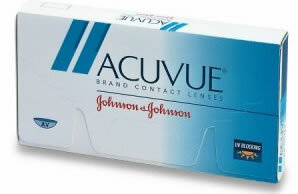 Originally founded by Frontier Contact Lenses Company in the 1950s, Acuvue was later sold to Johnson & Johnson, a leading household name in consumer products. Following that sale in the 1980s, the company was renamed Vistakon. The Acuvue brand was only released to the public in 1987 after a major overhaul on the Vistakon production line. Its success with the original 7-day extended wear contact lenses spurred the development of other types of contact lenses. What makes Acuvue a leader in contact lenses? First, it’s the diversity. 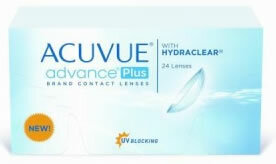 Acuvue prides itself on being able to provide for virtually any and all of a consumer’s contact lenses needs and wants. 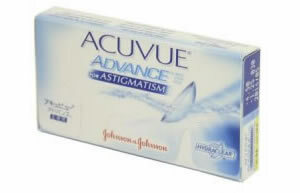 Its line is incredibly well rounded and includes such products as Acuvue Bifocals, Acuvue Oasys for Astigmatism, Acuvue Colours, 1-Day Acuvue Contact Lenses and Acuvue Advance Contact Lenses. Second, it’s the technology built into its contact lenses. Its unique silicone hydrogel material lets more oxygen pass into the eyes lessening the water dehydration that causes eye discomfort. Combine this with Acuvue’s exclusive wetting technologies, Hydraclear and HydraClear Plus, present in the Acuvue Oasys and Advance products, then you not only have corrected vision but healthy eyes as well. Third, it’s the affordability. 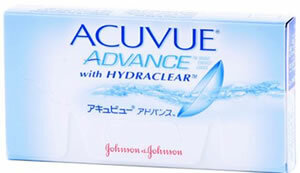 The minimum cost of Acuvue contact lenses can be equated with a single cup of coffee. 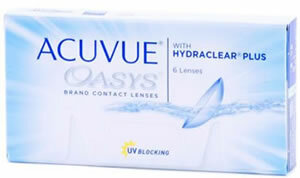 Other features of Acuvue contact lenses that really make them stand out among the competition are their high UV ray protection, their visibility tint (to make looking for them easier in case you drop one) and their inside-out marker which shows you the right side of the contacts to put in your eyes. 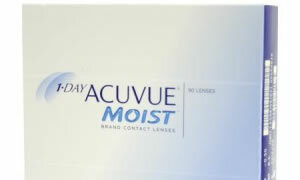 From the 1-Day Acuvue Moist to Acuvue 2 Contact Lenses and beyond, this manufacturer has long been known for quality and performance. 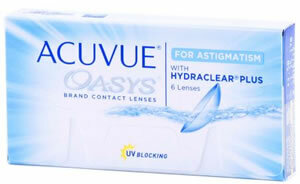 If it’s time to buy contact lenses, the Acuvue name is one you can trust. To save money on discount contact lenses, just take advantage of our easy service. At PriceContactLenses.com, we’re here to help you compare prices on the name brand products you know and trust. 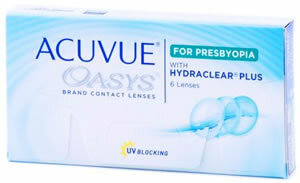 Whether you want Acuvue Oasys lenses or would prefer 1-Day Acuvue Contact Lenses, we can help you get the very best in pricing. It’s never been easier to order contact lenses and save!